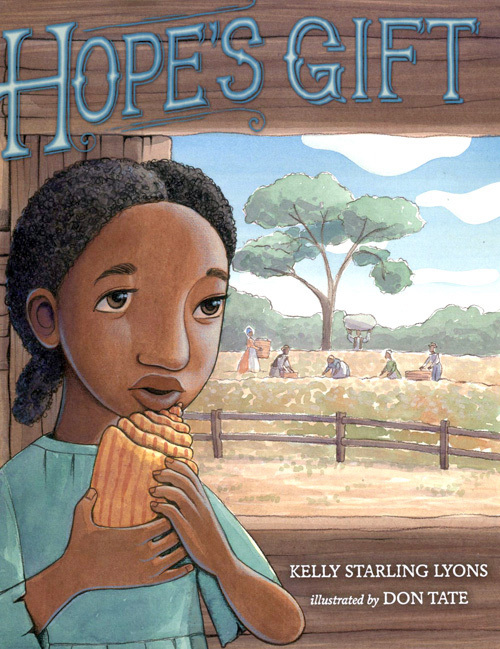 Today Brown Bookshelf members Kelly Starling Lyons and Don Tate celebrate the publication of their new book, Hope’s Gift (Putnam Juvenile, December 27, 2012). Kelly writes a poignant story that celebrates the 150th anniversary of the Emancipation Proclamation. Don Tate illustrates this significant moment in American history. What are some of your other favorite stories that celebrate freedom? Congratulations! Look forward to adding to my library! Congratulations to Miss Lyons!! I met her at the book fair. She is a lovely person. Thank you, all! Appreciate your support. What a team — congratulations to you both! Congratulations Kelly and Don! Will definitely look for this in the library . . . Can’t wait to read it! Congratulations! Can’t wait to see this lovely book! Thanks so much for all of the congratulatory notes. What a blessing.